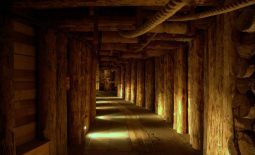 Krakow salt mine tour - what should you know? Krakow salt mine tour – what should you know? 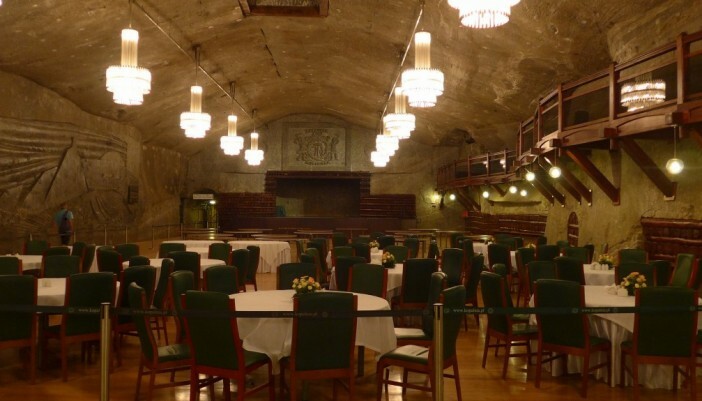 The Wieliczka Salt Mine is an amazing place which you need to see at least once in your life. It guarantees an amazing experience and wonderful views, which you will not have a chance to admire elsewhere. Tourists have several sightseeing routes. What’s more, they can take the tour individually or in a group. We have some important info on three routes available for those who are planning a Krakow salt mine tour: tourist route, mining route and pilgrimage route. Thanks to our hints you will know how to prepare for the visit and what to take with you. The tourist route is the most popular among all available tours. While you’re there you can see more than 20 different chambers, including the wonderful Chapel of St. Kinga, learn about the history and traditions of this place and see the tools and equipment miners once used here to mine salt. The tour takes approximately 3.5 hours and includes a visit to the Museum of Krakow Salt Works. Tourists move around the site with a guide that should relay all the important information. Those who decide to take a Krakow salt mines tour and choose to follow this route should wear warm clothes, because the temperatures in the mine does not exceed 14-16 degrees Celsius. Don’t forget comfortable shoes, because there is one long road ahead of you, including more than 800 stairs! Moreover, part of the route is suitable for exploring by people moving in a wheelchair, but it requires prior reservation. Of course, children under four may enter the salt mines for free. It is worth mentioning that on a trip you are not allowed to take pets, luggage should be left in storage. Obviously, smoking is strictly prohibited and taking pictures and filming requires a relevant permit. In addition, there are toilets on the route, and during the trip you can use the Tour Guide sound system. Another route enjoying a huge interest of the tourists is the mining route, which takes the form of expedition. 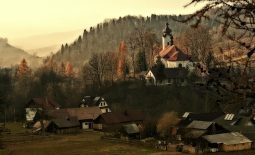 It’s a completely different than the tourist route and does not connect with it, so if someone wants to visit the famous chambers and the chapel of St. Kinga, he or she should rather choose the first route we discussed. Hike starts in Regis shaft and takes around 3 hours. To take part in it youmust first write a consent. It is not worth to be late, because the tour starts promptly at the appointed time, so it is better to appear a few minutes earlier. Unfortunately, latecomers and those who did not manage to get special electronic cards in time do not have the opportunity to join the expedition later. This Krakow salt mines tour is intended for persons over 10 years of age, younger children must follow the route with a guardian. The expedition takes place in a max. 20-person groups and is always under the supervision of a guide. Each participant receives a suit, a lamp, a helmet, an absorber and some mining equipment. Equip yourself with comfortable shoes and warm clothes, because the temperature at the bottom does not exceed 14-16 degrees C. We also need to mention that you are not allowed to smoke or use flashlights. What’s more, you are going down to the mine and leave it using the elevator, which is a great attraction in itself. Pilgrimage route is the perfect choice for those who want to see the religious features of this place. 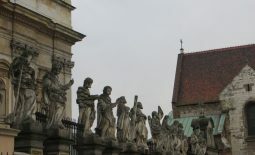 During the tour you can see the magnificent chapels carved in salt lumps, beautiful altars and breathtaking sculptures. Some chambers that can be enjoyed at the Tourist Route are included also in this tour, like the chapel of St. Kinga and a part of the Museum of Krakow Salt Works, in which there is a chapel dedicated to John Paul II. Pilgrimage route was blessed in in 2010 by the Cardinal Stanislaw Dziwisz – a close colleague of the Polish pope. Tourists who choose to take a part in Krakow salt mine tour using this route should wear warm clothing and comfortable shoes, because the you will descend using the the stairs to a depth of 64 meters. You get back using a lift. Of course, hikers are required to leave their luggage in the storage are and abstain from smoking cigarettes.